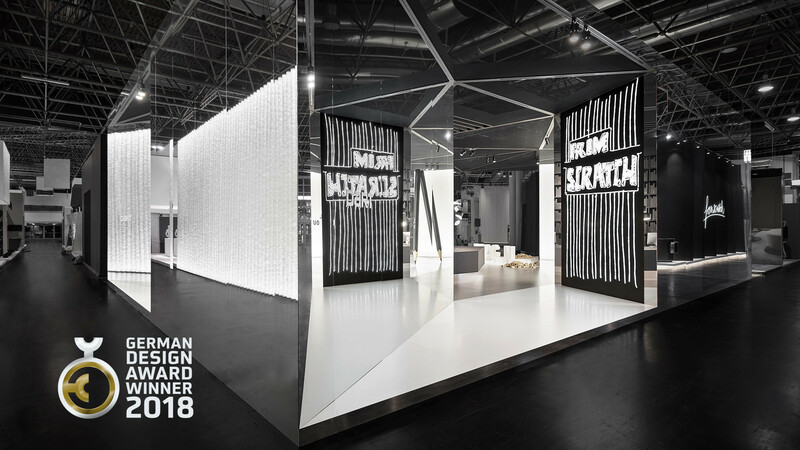 The D’art Design Gruppe’s own cross-media, interactive appearance “from scratch” at EuroShop 2017 has been rewarded with the label “Winner” at German Design Award 2018. Awarded by the German Design Council the aim of the international award and its expert panel of design connoisseurs is to discover, present and reward unique design trends. In 2018, 5,000 projects were submitted, out of which 51% within the category Excellent Communication Design.